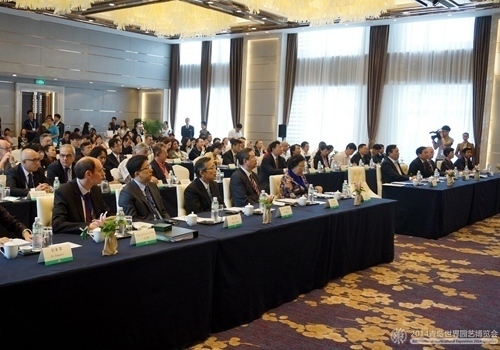 The 66th annual meeting of AIPH (International Association of Horticultural Producers) was held in the Expo Plaza Hotel of Qingdao expo on Sep 16. More than 100 members of AIPH from 14 countries and regions attended the meeting, including China, Australia, Canada, the UK, and Taiwan. 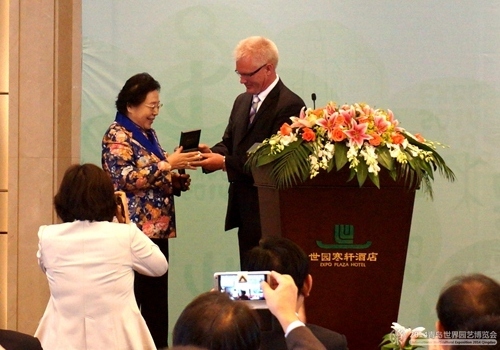 Vic Krahn, Jiang Zehui, president of the China Flower Association, Lin Dongsheng, deputy director of the State Forestry Administration, and Wang Naijing, vice-president of Shandong Provincial Committee of the CPPCC, attended the meeting and delivered speeches.